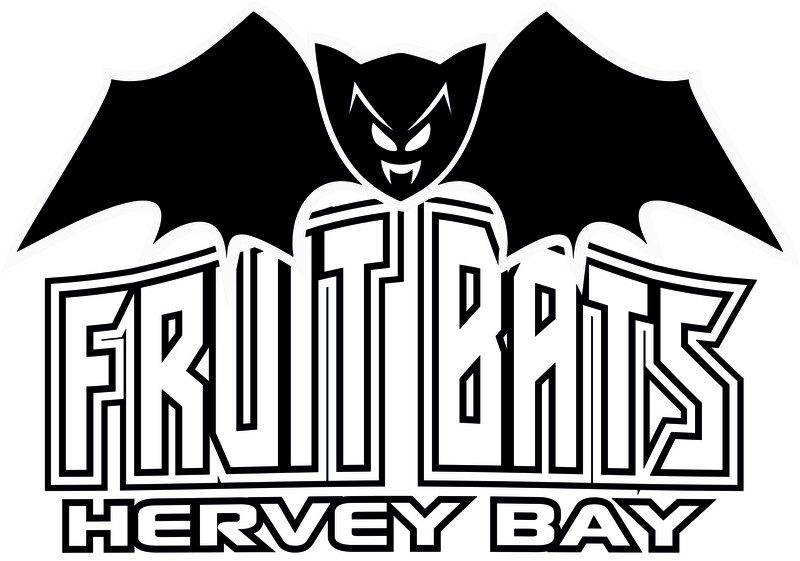 Welcome to the mighty Fruitbats. 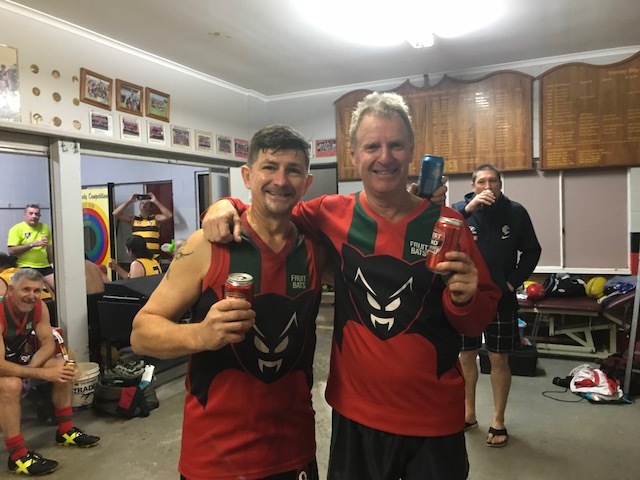 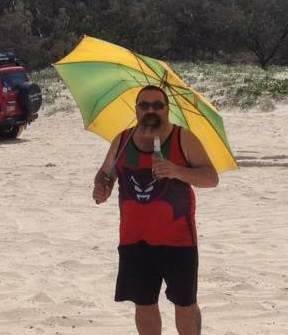 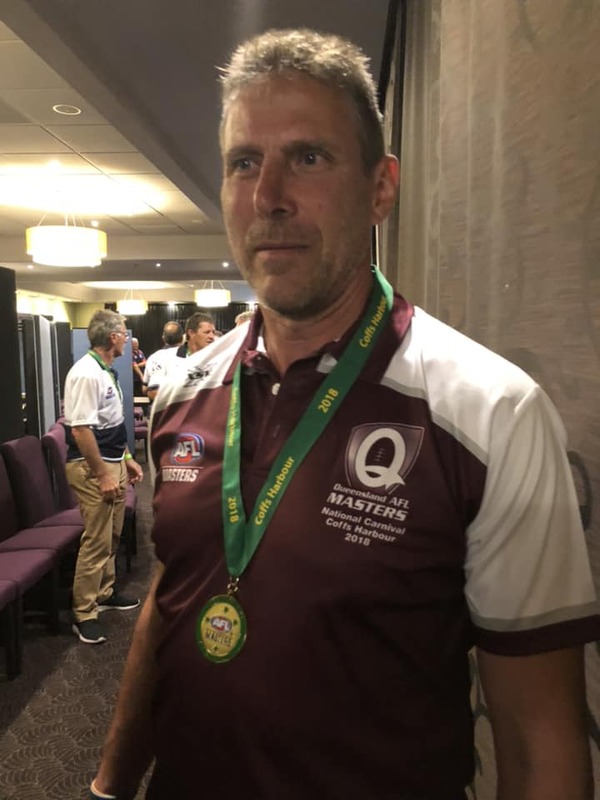 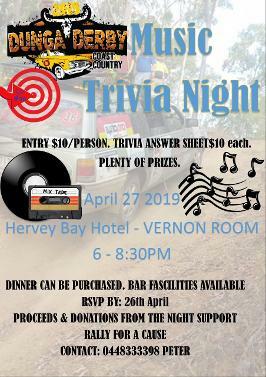 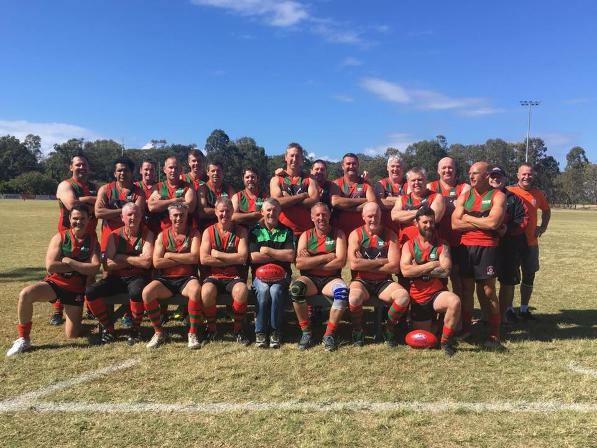 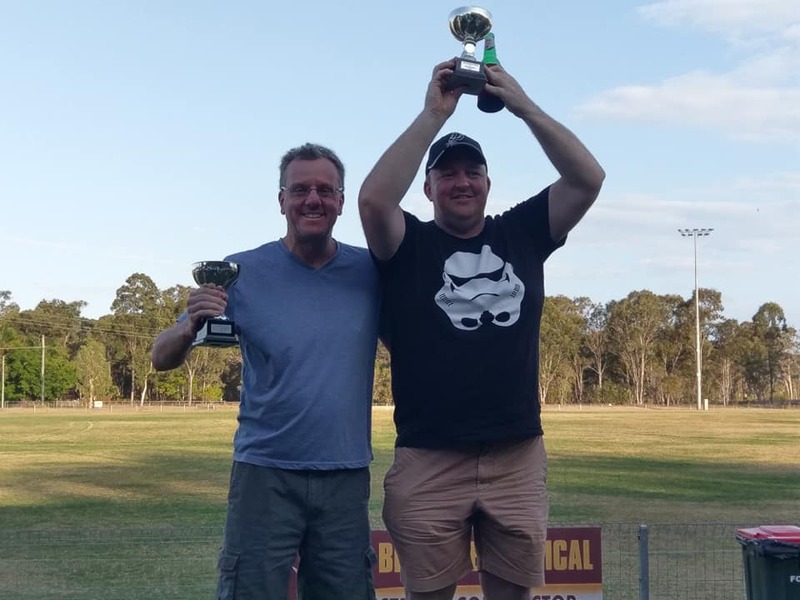 An affiliate of AFL Masters Queensland, the Hervey Bay Fruitbats provide the AFL experience for the over 35's. 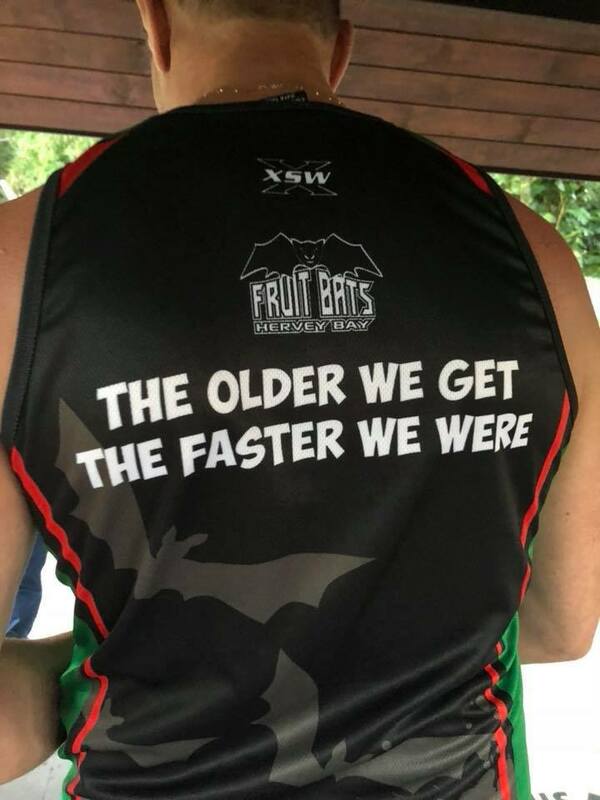 Formed in 2004, the Fruitbats train every Monday night at 5.30pm, Xmas Day included if necessary! 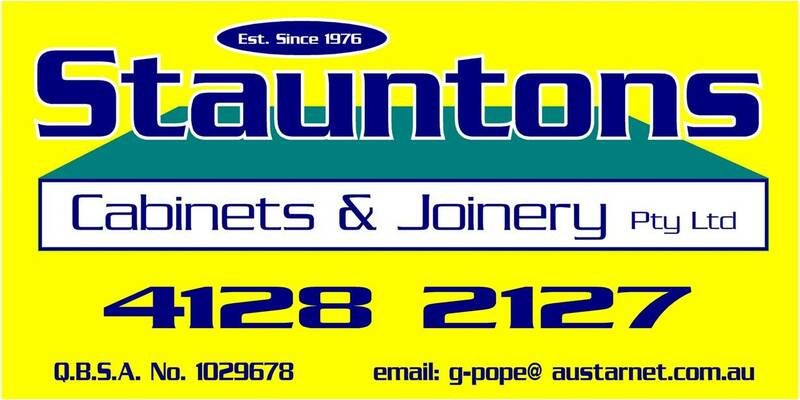 We can be found at the Norm McLean Oval, Raward Road, Torquay, just like the footballing Bombers. 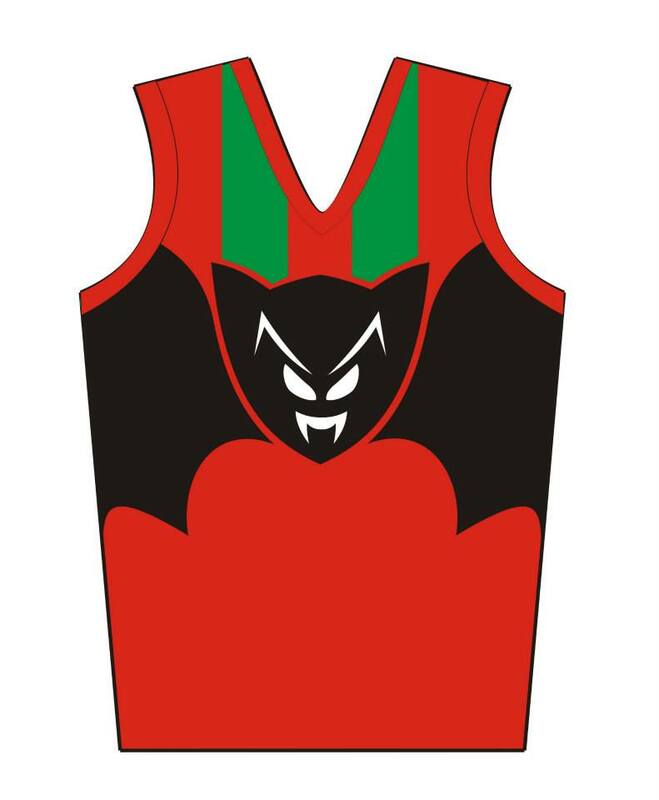 Our jumper: red and green represents the Seahawks, while the black comes from the Bombers. 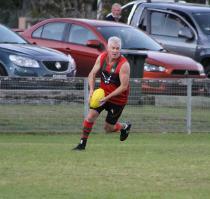 Coach: not necessary, just kick it to someone on your team!